SFUSD School Board Candidate Forum Thank Yous! Thanks to everyone who came out to the SFUSD Board of Education Forum! We had an opportunity to hear from 13 of the 18 candidates running for 3 open positions. It was an informative evening and we appreciate the candidates' passion and desire to serve the students and families of SFUSD. Thank you so much to the many people and organizations that worked together to make this event possible. 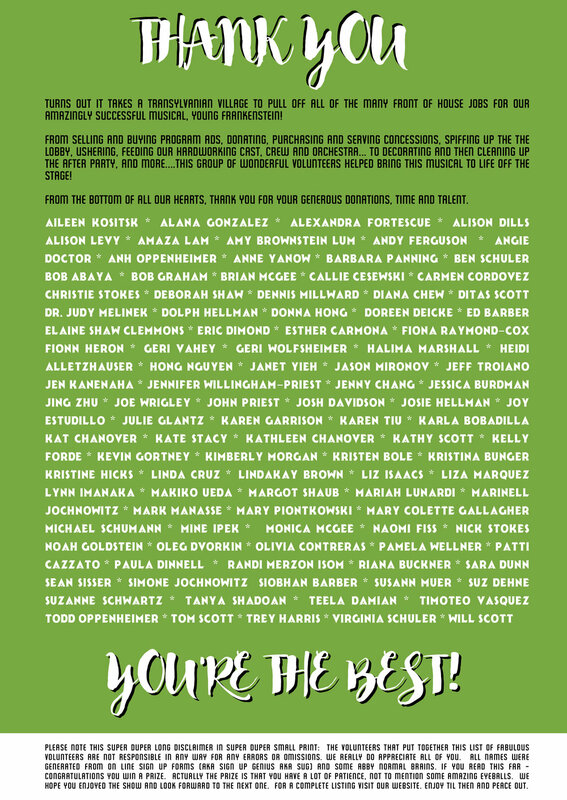 The co-sponsors were Parents for Public Schools of SF, Second District PTA, San Francisco Education Fund, Support for Families of Children with Disabilities, the Alliance for Girls, and the Ruth Asawa SOTA PTSA. Principal Payne got the evening started and introduced our moderator, Jill Tucker of the San Francisco Chronicle, who did a great job asking questions of the candidates and keeping the event on track. A special shout out to Paul Kwapy and the Theater Tech Department for producing a professional quality event in the face of a challenging set-up with so many candidates. Christie Stokes ensured our space was welcoming to everyone, along with Liz Isaacs and a wonderful team of volunteers who put up signs, directed traffic, greeted attendees and generally made our school shine. The Visual Art Department lent paintings to beautify the lobby and Student Government made sure attendees didn’t go hungry. PPS-SF staff made sure that check-in ran smoothly, questions were gathered from the audience, as well as live tweeting and streaming on Facebook. Suz Dehne, our fabulous communications chair, worked hard to publicize the event and manage our attendee list. Heidi Alletzhauser donated her mad photography skills to documenting the evening. The SF Department of Elections was on site to register voters and answer questions. Ben Trefny from KALW recorded the forum and the audio is available on KALW’s website. You can listen HERE. Just a quick note to say congratulations to the Class of 2018! Yay. Wishing you all the best on your next adventure. Asawa SOTA Alumni Directory Please don't forget to register for the Asawa SOTA Alumni directory at sfsota.org/alumni. Keep us posted on what you're up to so we can tell the world. Graduation DVDs Filmed exclusively for our community by filmmaker, photographer, and alumni parent, ROGER JONES (Elizabeth Jones/ IM 2015) at the Palace of Fine Arts on 6/6/18. With presentations and performances from each of the arts departments at Asawa SOTA, plus featured guest, Albert Alarr, the 2018 class speaker, there's plenty to reminisce over... On sale for a limited time only for $35-. DVDs will be mailed directly to your home in 2-3 weeks. Click HERE to see a preview and to find the link to purchase online. 2018 Commemorative Glass Each graduate received a glass at the senior luncheon. Interested in getting one more? You can purchase online and pick up on campus. Email Janet Yieh for more information. 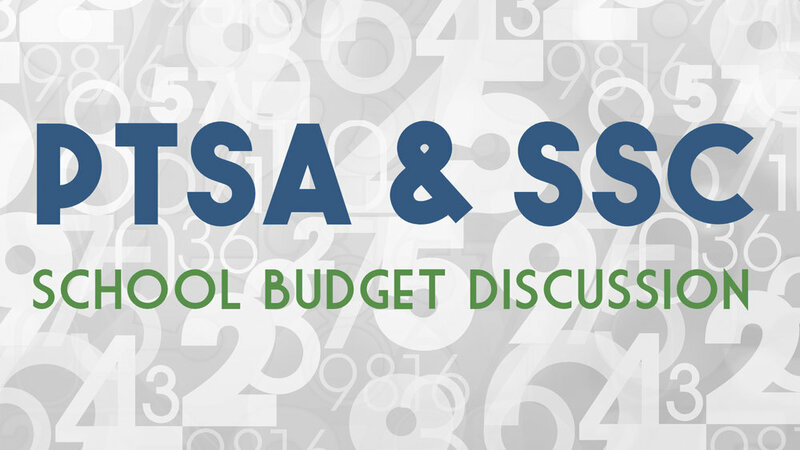 Save the date & join us this coming Wednesday, March 21st for our monthly PTSA meeting to discuss next year's budget & priorities with Mr.Payne and the SSC. Please help us gauge attendance and rvsp (so we know how much food to provide). We are ordering pizza this time. Yum! A Super Duper Thank You! This year we are providing Staff Appreciation events year-round! Our February event will be to provide breakfast on Friday, February 23rd in the school library. Click THIS LINK to sign up to help! Breakfast will start promptly at 8:00 AM, so we need to be ready to rock and roll by then! We will be preparing an oatmeal bar with fresh fruit. Thanks so much, from the Asawa SOTA Staff Appreciation Team: Barb, Liz and Virginia. Please contact Liz Isaacs at appreciation@sfsota-ptsa.org if you have questions or need more information. Please join us for our College Workshops. See the attached flyer for additional details and please RSVP to help us prepare. Audition Day - Volunteers Needed! Calling All Ruth Asawa SOTA Parents! Audition day is Saturday, January 13th. We need your help to make this day run smoothly for auditioning students, their families, and all the faculty and volunteers involved. Thanks to everyone who chipped in and volunteered this past week at the Teacher & Staff Breakfast, the Small Ensembles Performance, the Piano Concert, Beautification Day and today at the school tours! You all rock! We still have lots of volunteering on the menu for this month. Click any of the links below to sign up to volunteer. Sweeney Todd: The Theatre Department is looking for a few volunteers to support the performances of Sweeney Todd in the Studio Theatre on December 8th, 9th, 10th, 15th & 16th at 7:30pm. Click HERE to sign up! Holiday Cookie Boxes: Our long-standing tradition of giving gift boxes of cookies and candies to the Ruth Asawa SOTA staff and faculty is a treasured one. We amass donated items and then assemble the treat boxes to distribute to our much-appreciated community of teachers, staff, security guards, janitors, including the SF Academy! Click HERE to sign up. *** Indicates Student Volunteer Opportunity. IM Students can receive community service credit. Volunteers Needed for Outreach! Sign up today. SFUSD Enrollment Fair: We are looking for a few volunteers to help represent our school at the SFUSD Enrollment Fair at John O'Connell High School. Students Welcome! Save the date, Saturday, October 14, 2017. Click HERE to sign up! School Tours: School tours have been scheduled for October 16th, November 13th, and December 4th. We are looking for a parents from each department to help guide the tours together with a few students. Click HERE to sign up! High School Information Fair at Urban H.S: We are looking for a few volunteers to help represent our school at the High School Information Fair at Urban High School. Students welcome! Click HERE to sign up! Saturday, November 18th, 2017. Hello Ruth Asawa SOTA Community! We’ve kicked of the year with a fabulous all-school picnic, had our Back to School Night, and now our first PTSA General Meeting is right around the corner. Hear from key members of our staff, such as our Principal, the Executive Director of FoSOTA, and others. You will learn about the 35th Year Anniversary Celebration, meet your PTSA Board, find out about volunteer opportunities, get info about school communications, and get to know other parents. And of course, participate in the business of the organization which for this meeting will include approving the PTSA budget. Click HERE for the full agenda. Wed, September 27th @ 7pm in the School Library. Look forward to seeing you there. Beautification Day This Sat. Please Join Us. Please join the Ruth Asawa SOTA Beautification Team and volunteers for the first Beautification Day for this school year. Meet other families and have fun. We will meet in the quad; parents/guardians, teachers and students are welcome to join in, to help spruce up our favorite special high school campus. Snacks and supplies will be provided. Projects will include the usual gardening and on-going painting projects, with a focus on the mysterious ROTC space: we will organize the gardening tools and supplies, and then move these items to a new spot (to be determined). This space will be used in the very near future for our ever growing Robotics Club, as they are planning a build for competition at the end of October. Please contact David Fortescue or Rebecca Dickherber at beautification@sfsota-ptsa.org if you have any questions. To sign up for a specific task, click this LINK. BOE Special Meeting Sep 05, 2017 at 555 Franklin Street in the Irving G. Breyer Board Meeting Room. Meeting begins at 6pm. RECOMMENDED ACTION: Approve the Memorandum of Understanding Between the San Francisco Unified School District and Friends of School of the Arts for the 2017-2018 School Year. BACKGROUND: At its regular meeting on August 22, 2017, the Board of Education removed this MOU (Resolution No. 178-22B3) from the Consent Calendar and requested that it return for action at a subsequent meeting. It is now before the Board for action and recommended for approval. administer the artists-in-residence ("AIR") program at Asawa SOTA. There is no fiscal cost to the District from this MOU. Please see below for a message from our principal regarding the MOU. The PTSA will be hosting a meeting tomorrow in the school cafeteria at 8:15am (Thursday, August 24th) and Mr.Payne will be available to answer questions. We are currently working on focusing our efforts so our community can speak with one voice. More details to follow including Board of Education members' contact info and what we as a community can do to help. For many years, our school has been partnering with a non-profit organization called Friends of the School of the Arts (FOSOTA) to raise money for artists-in-residence who work with our instructors to enrich the learning for our students. Whenever an SFUSD school partners with a non-profit, the school must enter into a Memorandum of Understanding (MOU) and the SF Board of Education (BOE) must approve the MOU. At their first Board meeting of the new school year on August 22, the Board decided to postpone voting on the MOU with FOSOTA. The Board plans to discuss the issues associated with the MOU on September 5. At this time, the artists-in-residence who work for FOSOTA will not be providing services pending Board approval of an MOU. While this does cause some disruption for planned arts instruction, I am confident that our department chairs and other Ruth Asawa SOTA teachers will continue to prioritize student learning in their arts’ disciplines. We hope this issue will be resolved between the SF Board of Education and FOSOTA in the near future and I will keep you updated. Please join us on the first day of school in the cafeteria. Have a cup of coffee, enjoy a tasty treat and catch up with other Asawa SOTA families. Spirit wear will be available for purchase and PTSA board members will be on hand to answer questions. Please join the Ruth Asawa San Francisco School of the Arts community as we kick off the 2017-2018 school year and our 35th anniversary year long celebration with a school wide picnic on Saturday, August 26th from 12pm to 3pm. Students, family members, teachers, staff, alumni and friends are all encouraged to attend. The afternoon will be filled with delicious food, fun entertainment, exciting activities and wonderful community building. Main dishes, roasted corn and beverages will be provided courtesy of Friends of SOTA. We are encouraging families to bring a side dish or dessert. Interested in helping out at the event or contributing a side dish? Sign up HERE! Spirit Wear is now available to pre-order online!